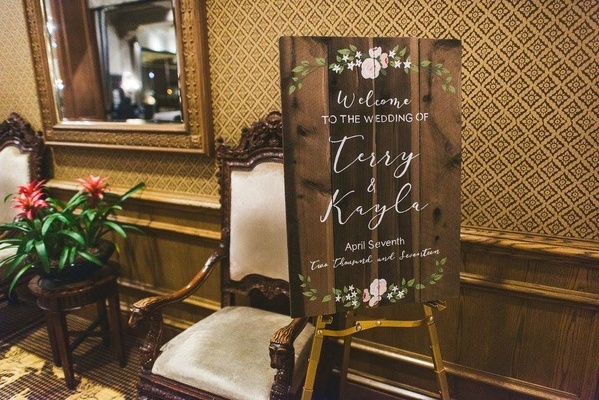 “He proposed where we first met and then whisked me away to Banff Springs, Canada where he had a surprise engagement photo shoot planned,” Kayla Mannausa reveals while remembering the special moment when Terry Kruger popped the question. 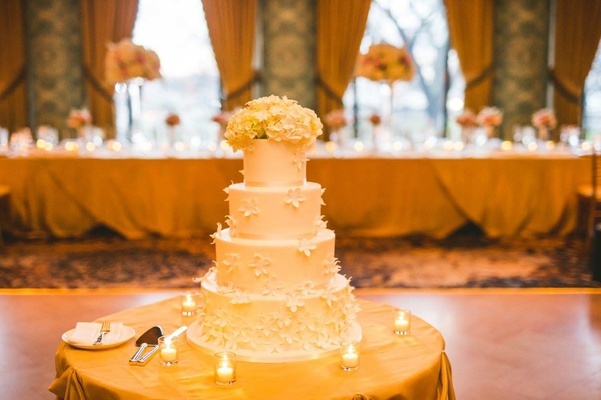 Throughout the five years of their engagement, the lovebirds dedicated six months to planning a sophisticated soirée with assistance from their wedding coordinator and Kayla’s mother. 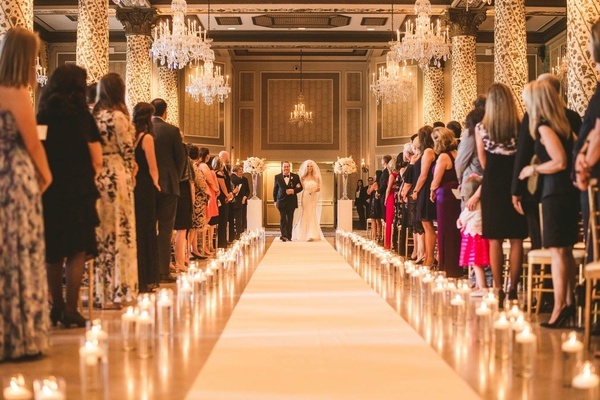 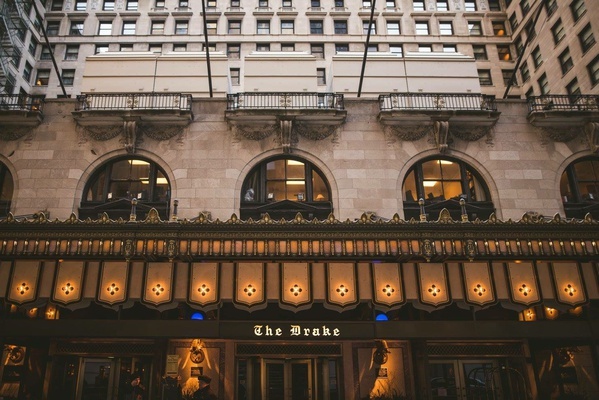 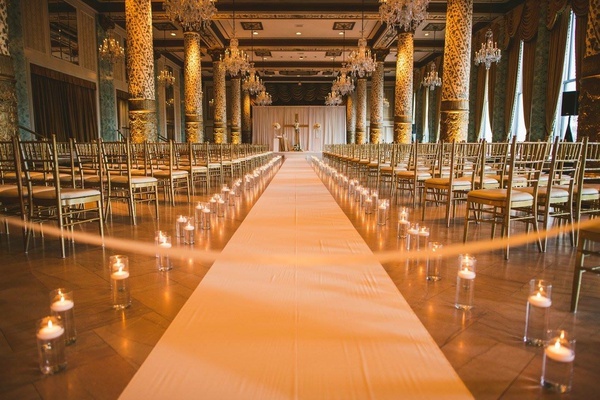 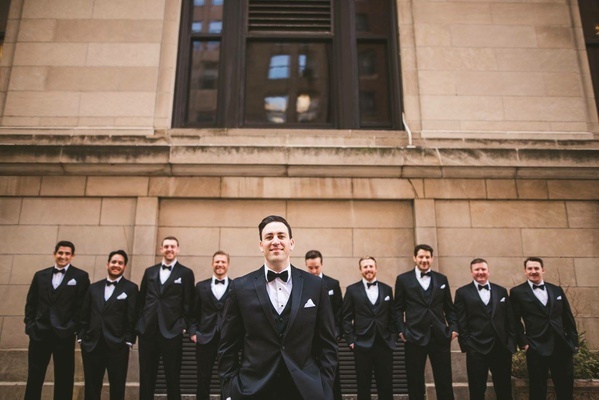 Since they wanted to exchange vows locally, and reputation was the main decision-making factor for their venue choice, they elected a famous Chicago hotel as the site of their celebration. 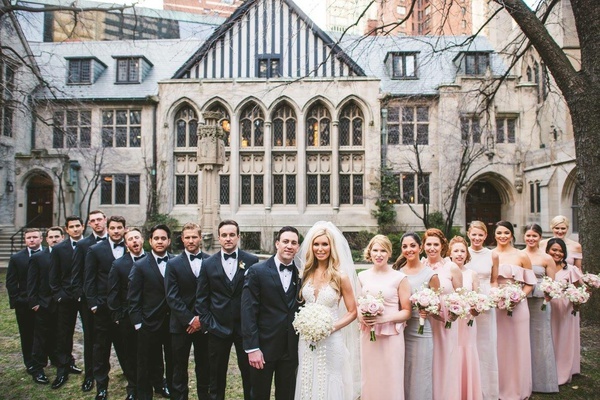 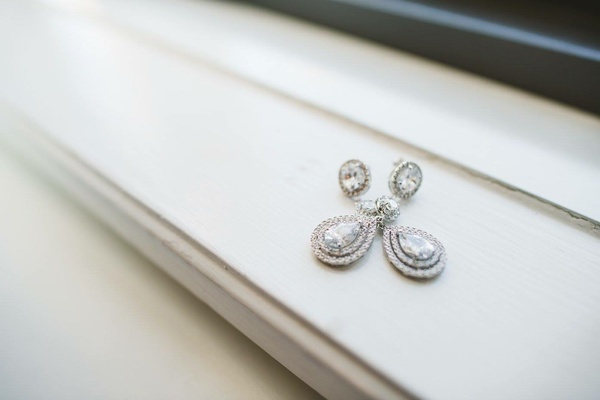 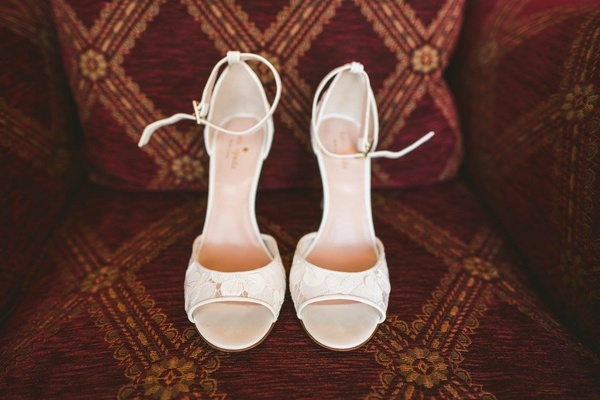 “We have lived next door to [the hotel] for years and always loved its classic charm,” the bride tells. 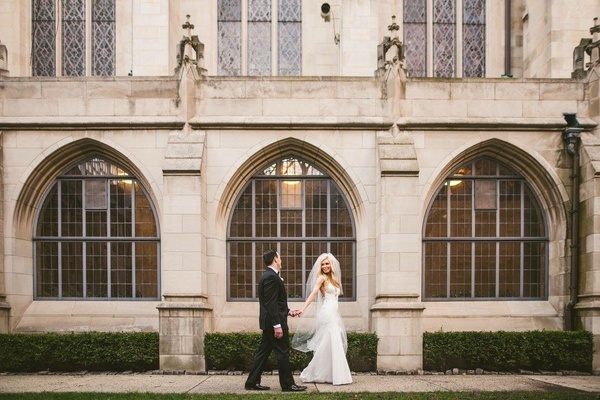 The evening commenced with a beautiful ceremony officiated by Kayla’s brother-in-law, who is a pastor. 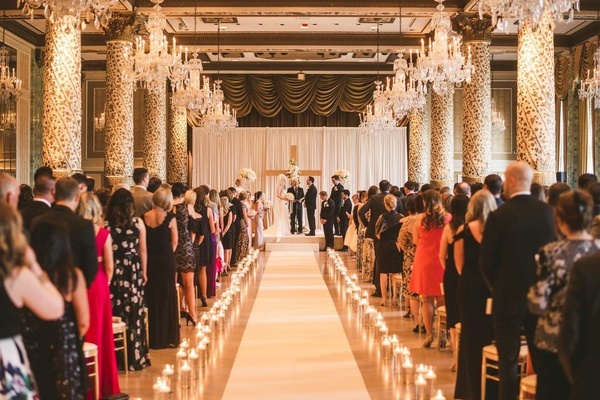 More than 200 guests gathered in the luxurious space that showcased subtle, yet elegant, floral arrangements, an aisle runner lined with candles, and a wooden cross at the altar adorned with blooms. 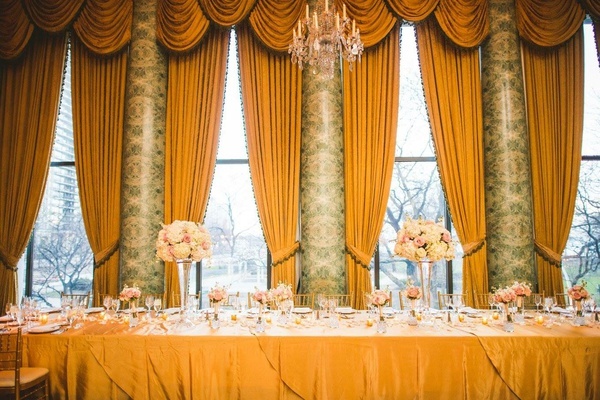 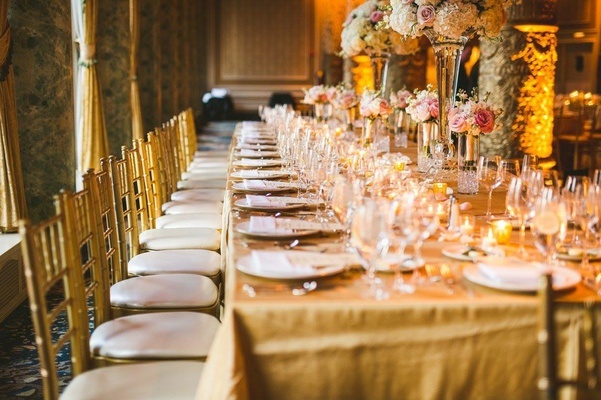 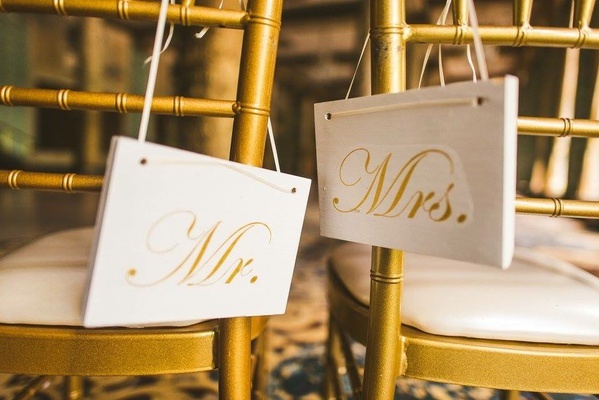 “The [room] we got married in is very ornate and rich, so the softer colors made it ultra romantic,” explains the bride. 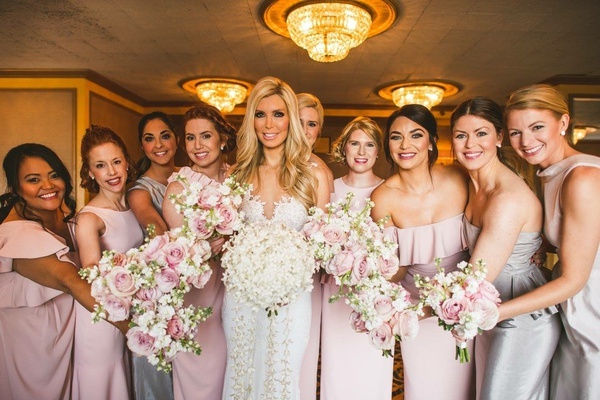 In addition to reciting both personal and traditional vows, the duo loved the performance by Kayla’s sisters. 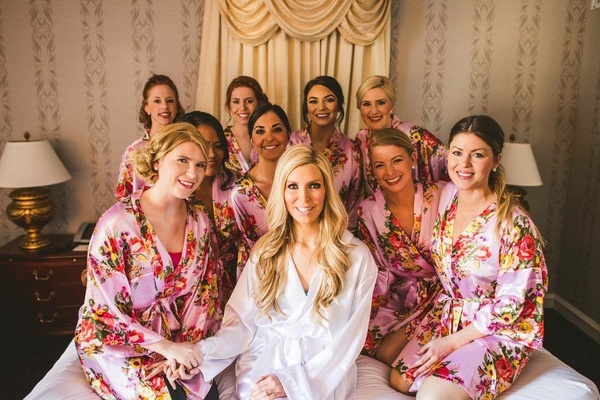 “My two sisters sang ‘I Do’ by Marié Digby during the ceremony, which was super special,” she muses. 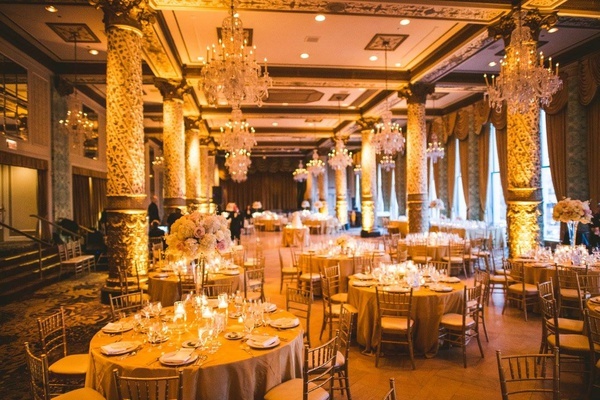 Considering the extravagance of the locale, the couple pursued tasteful décor elements as opposed to grand structures and centerpieces. 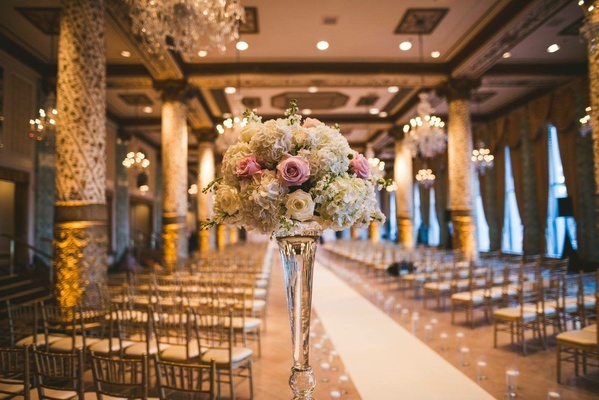 Similar to the that of the ceremony, the romantic ambience of the reception was executed through a soft palette of cream, blush, and gold hues, along with candles and simple high and low floral arrangements. 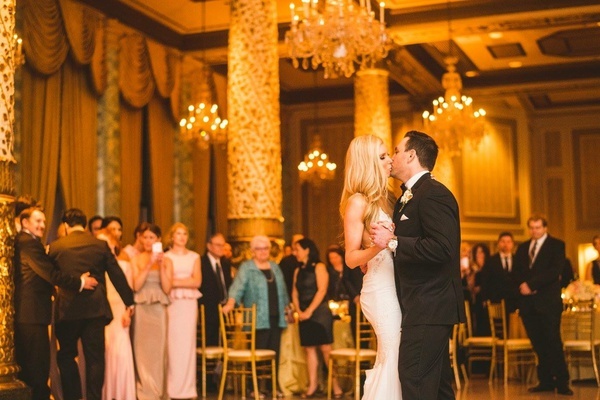 After their first dance, Kayla and Terry surprised their loved ones by dancing to “(I’ve Had) The Time of My Life” as a nod to the film Dirty Dancing. 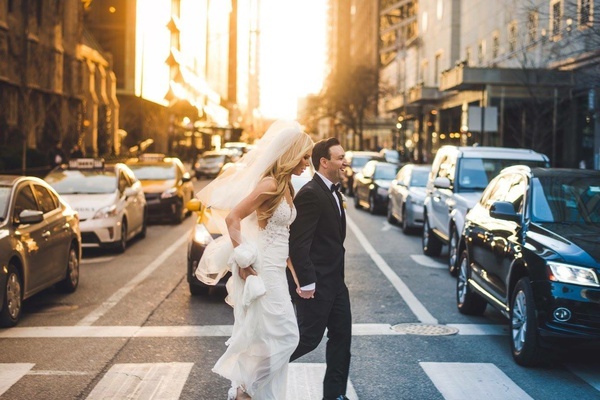 “[It] was super funny,” the bride reflects. 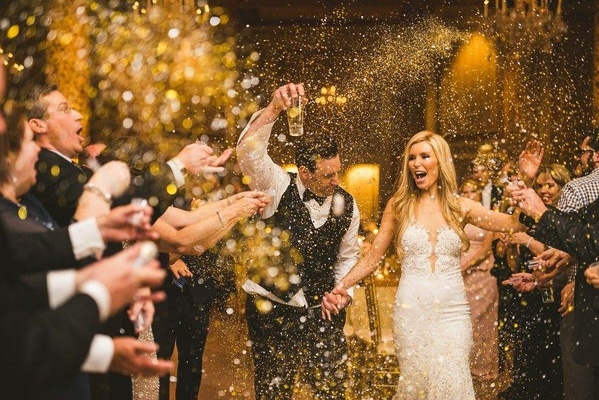 Another crowd-pleaser was the pop of gold confetti at the end of the night, which made for stunning photographs and plenty of smiles.